I thought I would post something a little different today - I promise that I will have new illustrations soon guys! 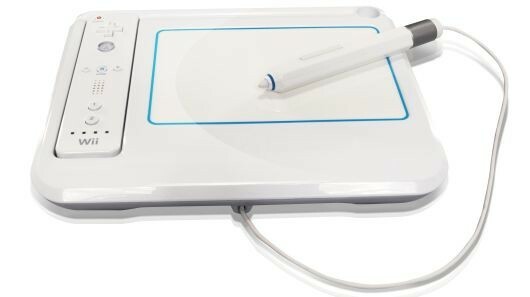 Yesterday I got an email about a cool little gadget which is available for the Wii - it's called uDraw which you might have guessed from the title of my post! Its basically a tablet which allows you to draw via your Wii - I have very limited experience of using tablets as I pretty much draw everything by hand, however, I think they can be really cool. I think its pretty much just a matter of getting used to them, because the sensitivity can feel quite different to using a normal pencil. You can also export everything you create which is pretty dandy too! The uDraw is available today and I've put a link to their website so you can check it out if you are into stuff like this!